Nick Westergaard, consulting strategist, speaker, educator, and author, talks about strategies for branding and digital marketing. 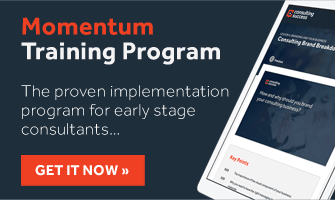 With his background in theater arts and psychology, he shares how the skills he got from improvisation has helped him improved being a consultant and strategist where it gave him the ability to consider multiple perspectives. Nick discusses the importance of content creation when it comes to the business of selling your mind. He shares his writing experiences with big brands such as Harvard Business Review, Entrepreneur, and Inc. and how this can be a strategy to leverage and establish your credentials as a consultant. 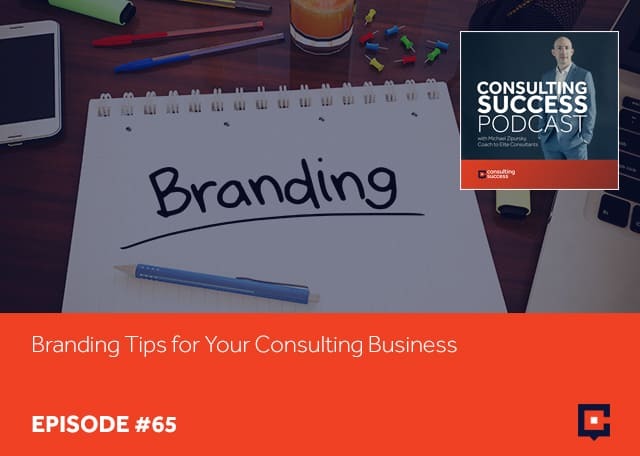 Learn other branding tips as Nick shares his story and insights within the consulting business. I’m very excited to have Nick Westergaard joining us. Nick, welcome. Michael, I’m happy to be here. For those who don’t know you, just take a moment and explain what you do. I am a multi-hyphenate. I’m a strategist obviously on the consulting side. That’s why I’m thrilled to be talking here. I am a speaker on the topics that I am a strategist for, branding and digital marketing. I’m an author of a couple of books about branding and digital marketing. I teach some things including branding and digital marketing at the University of Iowa. I’m a strategist, speaker, educator and author. Give us an example of the types of clients that you worked with that some of us might know of. I have worked with Fortune 500 companies like Rockwell Collins, which is a defense contractor, a very big complicated industry there. I have worked with ACT. If you live in the middle of the United States and take a college entrance exam, chances are it is the ACT College Entrance Exam versus the SAT, which is historically taken in the more coastal schools, but that is a known client of ours. We also did some work for President Obama’s Jobs Council. A lot of brands in between all of that, those are just some of the ones I usually touch upon. We’ve worked with startups, entrepreneurs, Fortune 500 companies. The President’s Jobs Council is how I usually summarize that into one digestible thought. When you look at what you’ve accomplished over your career, if you had to point out one specific habit that you developed has played the biggest role in getting you to where you are, what is it? I’m hoping that you don’t say comedy. I know that you have a comedy background or an interest in comedy, but beyond the comedic side, what habits have you really developed or do you feel as play the biggest role? I’m going to involve that comedy mention because otherwise, people listening won’t know what to make of me. My undergrad is in Psychology and Theater Arts and being in Marketing and Communication. I joke that if you weren’t going to study Marketing and Communication, Theater Arts and Psychology is a pretty good fit too because I think a lot and it studies how the mind works, how we make decisions, but also the creative side of that. Specifically, improvisational comedy is a favorite of mine and I’m coming back to that skill that I think is a pretty consistent part of what I do and how I do it. It’s that improv training, that ability to think on your feet. Many of the skills that make one an effective improviser, I think make one a useful consultant and strategist, the ability to consider things from multiple points of view, the ability to remember to listen and to work together. The skills that one learns in improvising are incredibly valuable. I know I can’t be the first one to give this advice, but I’m running out to a local workshop that you might find and taking an improv training is tremendously useful along with a whole lot of fun as well. When you say even for people who aren’t really that interested or they really considered the idea of comedy, do you really think there’s a direct application from learning comedy or learning improv to the business world? I do. Obviously, the headline labels of something like improvisation, we think about comedic applications on Saturday Night Live, on various sketch shows out there that pull from improvisational talents, but really they are a lot of the same skills that are effective in teamwork, in team building. There are lots of improv games and exercises that I think are just as useful in corporate workshops. I use them when I conduct workshops, but also when I teach MBA students. It always makes me feel a little bit devious that I can get MBAs doing improv, but it is incredibly useful because of some of the higher-level thinking that we lock up as we grow up. We get further and further away from some of these things that make us useful, critical thinkers and problem solvers because we buttoned down so many of the things that we should be saying yes to. This really applies to a lot of creative outputs, the same with drawing pictures. I’m a big visualizer when I consult. I whiteboard out a lot of ideas. I talk through things with clients that I’m working with and that’s another skill that I think that we’ve gotten away from. If I’m giving tips, I would say an improv workshop. To get back in touch with drawing pictures in a context of a work environment, if you haven’t done so already, I definitely say to check out any of Dan Roam’s. The Back of the Napkin comes to mind, which is one that is especially useful. Nick, you speak, you write, you run a podcast. What tactic or strategy has helped you to really get consulting clients more than anything else? You talk about podcasting and I think content creation, especially when what you’re selling is more or less your mind. I think that tools or content that you could create where you can share your mind working like podcast and videos are incredibly useful. There’s no better way when you are the product than to find ways to share little bits of yourself. Of course, more traditional content applications like blog content, if you write columns for publication, that sort of thing. When you’re selling yourself, finding ways to share yourself is the key. 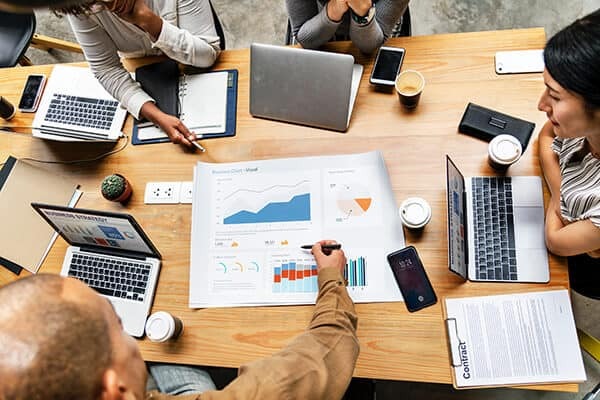 If you are starting your consulting business, it’s one thing to be at a place where you are and layering on top these authority buildings strategies like speaking or writing or running a podcast or creating video content. If you are just getting started, you were taking your consulting business from the ground level, what would be the really the first thing that you would do to start building the business, moving it forward and getting that first consulting client? It’s hard to remember that day honestly when you’ve been doing this for eleven years. I think that a lot of times we hear a lot of great big dramatic advice of, “Just cut the cord and walk away.” I’m a big believer in the more conservative approach of beginning with moonlighting. That’s what I did and found some projects that I could work on and demonstrate my expertise, but also start to build trust with happy clients that make it a little easier to walk away. Building a consulting business is a lot like building a fire. The big flames, it’s easy to get with some lighter fluid but most of the time you start with a few sticks and just a little trail of smoke at first. If you keep layering that, keep building that slowly, ultimately you’ve got a fire that is burning big and bright all night. You’ve also written for publications like the Harvard Business Review, a very well-respected publication. How did you create the opportunity to write for HBR? I had people on the podcast. That’s one of the other magical things about podcasts and videos. I don’t want to knock writing, but in addition to being the definite mediums of the moment, they are mediums that you can involve other people in. That’s a hidden part of this is, as you well know. I think it was a friend of a friend who I always ask my guests for other smart people that I should interview and one of them mentioned, “You should talk to this individual who is an editor at HBR.” I thought that sounds like an interesting podcast guest anyway, but it also sounds like someone that I want to be talking to, to learn how I might be able to translate some of that and see what those opportunities look like. I think that that’s the other great part about content in the form of podcast and video. How long did that relationships begin with HBR? I remember I wrote my first article there around the time my first book came out. I had been working with them, pitching them different ideas. That’s the other thing. Platforms especially like HBR, but other leading business publications are very consultative from an editorial standpoint. You have to figure out what you have that might be of interest there and pitch several different ideas. The one that I ended up writing that was my first one there was not the first thing that I pitched them. It’s not unlike a consulting engagement, learning what the challenge was and how I could assist with that as well. Why did you pitch them in the first place? Simply because I’m a branding consultant and I think HBR is an interesting brand. I have a foot on the corporate side of things and also on the academic side of things. For me specifically, there may be other consultants out there that have a similar relationship with academia and the corporate world, but HBR, if you look at that Venn Diagram, it is something that is respected by both. I’d say my top to tier executive clients are familiar with HBR and are looking to HBR. In the academic world, when I was doing in putting together a new course right before this, I was looking through HBR articles and cases to use. It is really the gold standard for the top business content. Were you doing a lot of other writing for different publications before reaching out with HBR or was that one of your initial outreaches? It was certainly the biggest one. I’d mostly been writing for other digital marketing sites, MarketingProfs, Convince & Convert some of the bigger ones in my specific niche, but HBR was a definite step up beyond that. I’d been mostly quoted by friends that write for other publications as well. I’d say that’s another angle to work as you look at building that thought leadership as well. We oftentimes think of, “What can I write specifically?” I think the other angle is if you’ve got friends that are writing for Inc. and Entrepreneur, which I have that at various points as well, find out what they’re working on and how you might be able to help out and end up with a mention in one of these publications as well because that’s a very big part of your own positioning. All of these things, HBR, Entrepreneur and Inc. are thought leadership brands that we can leverage as consultants in our bios that help to credential us. It’s important to make a list of what those ones that you want to be featured in or to write for and work on going to get those. I love that story about David Ogilvy in the early days of his ad agency, of making a list of the clients he wanted to work with and then he went and got them. There’s something just wonderfully simple about that. I’m sure it’s not that simple, but I think that talking about organizing your work and focusing your time, making a list like that helps. When you are reaching out to HBR for a lot of people, that will be a publication where they would be afraid to approach because it is so established, so respected, they would want to perfect things before reaching out. This wasn’t the first publication you’re going towards. I wonder, did you have any fear of potential rejection or objections that you might encounter? You mentioned the first article you pitched them was not a success, was not accepted, but you kept going after it. Just interested in your mindset at that time, did you feel any concern or any hesitation? Did you delay it looking back? Did you wish maybe you approach them sooner? Just to get an insight into where you were at that time? I was very scared. It’s Harvard. For all the reasons for them being a desirous brand, but it comes back to, this is the simple advice hour here. I’m from Iowa, I’m from the Midwest, my advice could be a little bit meat and potatoes, but the worst they can say is no. I did and I thought it was worth pursuing and they said no a few times and honestly, they’ve said no since. A publication like that, there is not a magic door that swings open once you tap into it. They want the best content and they know what they’re looking for so it can be a little bit exhausting. As you know, we’re all in sales too. It’s very similar to the sales mindset. It requires what Daniel Pink calls some buoyancy to be able to deal with that consistent rejection. With consulting when we get the gig, we have the work to do and we thankfully have the money that goes with that. With something like this, it’s not even a monetary award but of course, it’s a great honor to be able to do that as well. You need that same kind of buoyancy mindset to be able to keep doing this as well. With that said, if years had gone by and I hadn’t been able to make that work, I don’t know that I’d continue. Usually, that time could be better spent elsewhere. I also think it’s helpful when you can find a real person. I’m reminded that I had a friend of a friend on the podcast and I also had another tangential relationship that I could at least mention, so I wasn’t someone off the street. I came in somewhere else other than just the web form and found a person and had some names and some relationships that I could mention there as well. I’m saying things that as I hear myself saying them and think about the experience that we have to have with sales, it’s not unlike that. It’s just a different outcome. You live in Coralville, Iowa. What’s the population there? The population of Coralville is not incredibly vast. There were about 20,000. We’re paired with Iowa City, which is a bigger community. We’re the sister city where the University of Iowa is based, where I teach and spend a lot of time as well. My home is in Coralville. You created a successful career as a consultant and speaker. Do you feel like your location is ever a weakness? Sure, but I think it pays off in other ways to it. I think one of the neatest things that we have the opportunity to do as consultants is that there’s a great deal of life design. You could play by someone else’s way of doing things and create some sort of office at a big city. I think part of the fun of being a consultant is doing things your way. For me, I love home office-ing. I like where I’m at. I don’t have a hub airport, but I can get to one within a short half hour, a 40-minute flight. Our small regional airport is twenty minutes from my home and it’s easy to walk through security usually without lines there. It is what life you want and what kind of clients you want to work with as well. I can work with a variety from where I’m at. Obviously, if you want to specialize at a certain level, that might have some location technicalities to it. With our technology, I don’t know that location has to be the hindrance that it once was. Two questions for you now specifically around consulting. The first is what mistake do you see consultants are making often that if corrected would help them to be more successful? It’s like, “I’m lazy, so I’m not going to do as much as everybody else.” I think when it comes to creating content, creating your platform, creating that thought leadership, the more you can focus, the greater your potential for impact. Instead of trying to do everything, instead of creating every form of content, and instead of being on every single social network, why not focus what you’re doing and where you’re doing it and looking at what you can do there that is more unique than everybody else? A lot of times we end up seeing something that other similar consultants did. We think, “I need to do that too,” instead of thinking about what’s your version, what’s your unique take on this. I would say focus or lack thereof is the mistake I see most often specifically with building your thought leadership and marketing engine. Let’s talk about branding. 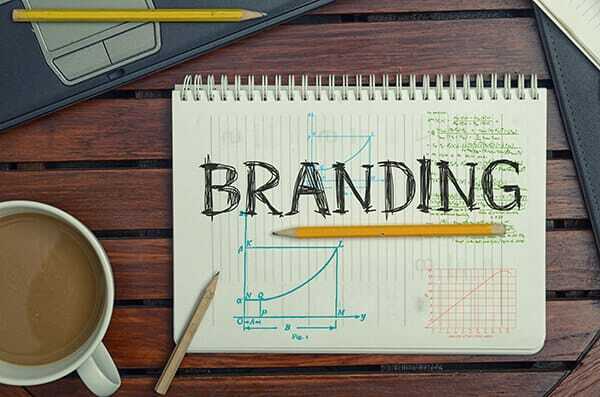 You are a digital branding guy, a marketer. Where do you see right now for the smaller consulting firms or even the independent consultants, what is the biggest opportunity for them when it comes to their brand? What are some best practices? I think that consultant brands are interesting. They’re relatives of personal brands in some cases. I think that a lot of times especially when we first set out, we create this slick, very corporate feeling brand. Maybe that’s who you are, but a lot of times it’s what we think the industry looks like. I think it is very important, especially with these new very personal forms of media that we have that we’ve been talking about so much that you find a brand that fits your personality and fits your voice. You mentioned at one point, you used the phrase writing a podcast and it could have sounded like a misnomer, but everything that we’re doing is writing podcasts and videos. I think because of that, it’s important to understand your brand voice. If you talk beyond, if you’re a solo consultant or even a small shop, that it is key to understand what that voice sounds like. Sometimes it’s easy when it’s just you. It can be harder in other ways, but when you have a small team distilling what that voice is and what that sounds like across the various channels can get tricky. It’s important to understand that. Nick, I want to thank you again so much for coming on here, for spending a little bit of time with us, sharing a little bit about your journey and best practices, insights and principles that you’ve used to grow your business to the success that you’re enjoying right now. What’s the best way for people to learn more about your work, your company and to connect with you? I would tell them to go to NickWestergaard.com or BrandDrivenDigital.com. 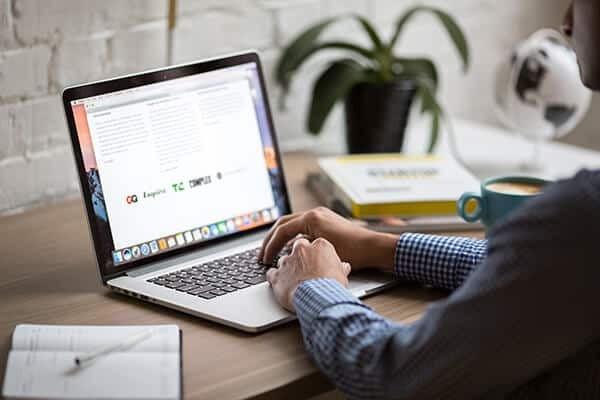 Both sites are about my work, one is more focused on my content and my speaking, the other on the digital marketing consulting that our team does. Nick, thank you so much for coming on.